News » July 12, 2018: Your Shout! Your opinion matters! – your experience can help us to continue to improve. 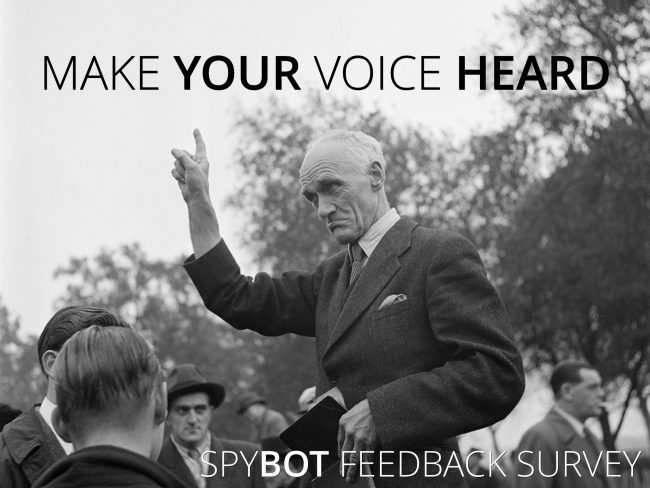 We would really appreciate it if you complete a short survey and give us your honest opinion about #Spybot and our other products.